After last having a dedicated Head Coach in 2017, the Barbados senior national team will once again have full-time support in that position. With Barbados Football Association Technical Director Ahmed Mohamed filling in for just over a year and a half, Russell Latapy will be stepping in to head the Bajan Tridents. Latapy, a Trinidadian national has a career that spans over 20 years and will be bringing his expertise in a bid to take Barbados to the next level. 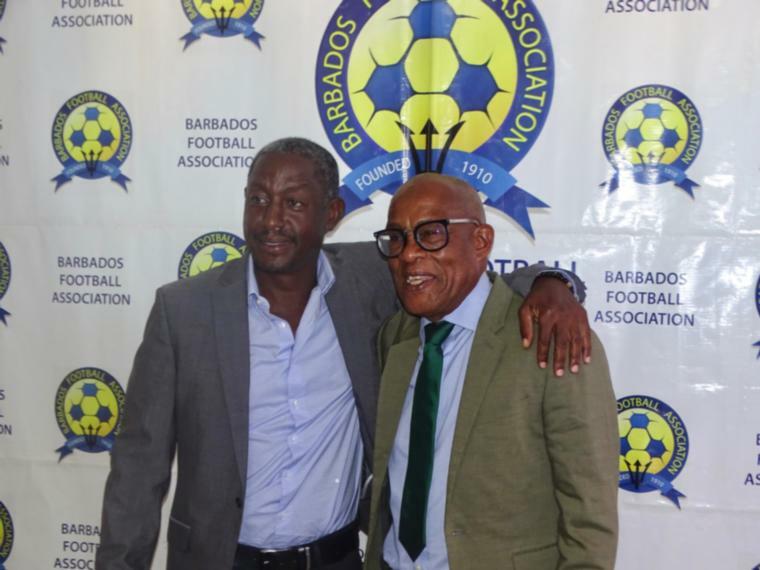 During a media conference held yesterday at the Barbados Football Association's Wildey office, President Randy Harris called it a 'very special day in the history of the BFA' as talks from over the past two years were finally bearing fruit. Calling Latapy a Trinidadian football wizard to which he credited a 5-0 result at Kensington Oval which made him cry a few years ago, Harris said that he expected good things from the midfield magician. “Mr. Latapy and I have been talking for the last two years or so about the possibility of him working in Barbados. It is not just a situation of Russell looking for a job. He has been very, very interested in our team and its development. He is happy with the talent that we have in Barbados and he believes that he can take it to the next level and I think that he has convinced me early o'clock that he would play a very significant role in the successes of a Barbados team now and in the future.” Harris said. Latapy, who would be best known in the region for representing the Soca Warriors in the 2006 World Cup, began his playing career when called up for the national Under-16 before going on to play in Portugal and Scotland for the better part of 20 years. Speaking during the conference, he said that he was thankful for opportunity and would be working toward improving football in Barbados. “I have seen the team play on numerous occasions and I know that it is a talented bunch of players. I have spoken to the Technical Director and I watched the game they played a few weeks ago and I'm happy to say that we have a bunch of players who are talented. Most importantly, not only talented, but they are prepared to work very hard. And I think for any coach, if you have a team that is willing to work hard, that is half of the battle done.” Latapy said. Mohamed, who took over the reins after Colin Harewood served in the position for a short time, said that he was thankful for the additional manpower and was willing and ready to help integrate and support Latapy in his new post.